The annual HT India's Most Stylish Awards were held in the city tonight and many deserving names were honoured in it. The awards that are held keeping the glamour factor in mind, are awards to stunning celebrities who believing in slaying any day and every day. From Ekta Kapoor to Taapsee Pannu, Ayushmann Khurrana and Vicky Kaushal, celebs gathered to cheer for the winners while accepting the trophy themselves. While stunners like Katrina Kaif and Anushka Sharma wooed us with style offerings for the night, others like Sonakshi Sinha and Kiara Advani disappoint big time. 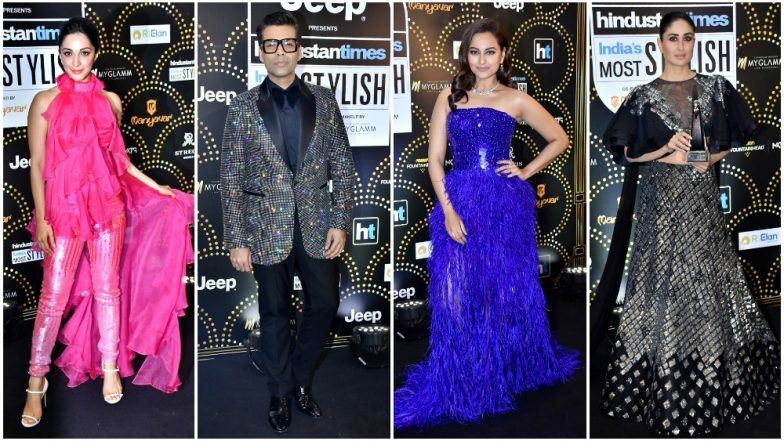 HT India's Most Stylish Awards 2019 Best Dressed: SRK - Gauri, Anushka Sharma, Ranveer Singh, Katrina Kaif Nail their Black Carpet Outings - View Pics. After cheering from the top of our voice for some of the best-dressed celebs, it's time we highlight the worst-dressed ones. Let's have a quick recap of who failed at the black carpet. The glittery night was filled with too many stunners and bummers who made it a memorable affair to witness. Yes, we did miss a bunch of newbies like Janhvi Kapoor and Sara Ali Khan but hopefully, they will stun us in coming years. Till then, let's keep cheering for the frequent names.